How to buy Metal Shelving. 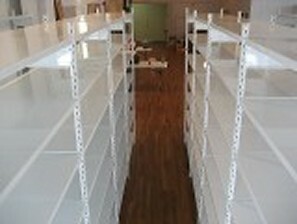 Shelving can be supplied with closed in back and side panels or Open shelving with back and side braces. The strength of the units is the same. Standard widths 30″, 36″ 42″ and 48″. Heights range from 5′ high to 24; high. 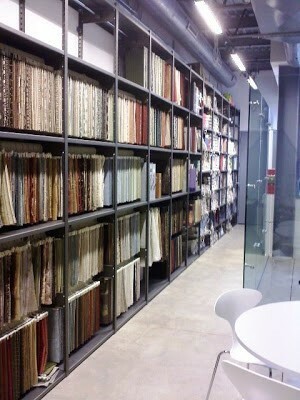 standard depths of shelving is 12″, 15″, 18″, 24″, 30″ and 36″. For wide runs consider bulk rack, Bulk rack is for hand loading boxes and inventory, Widths up to 12′ wide with weight capacities up to 1,789 pound distributed evenly. 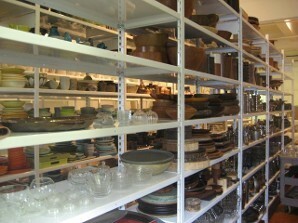 Bulk Rack can have solid metal shelves or wire deck. 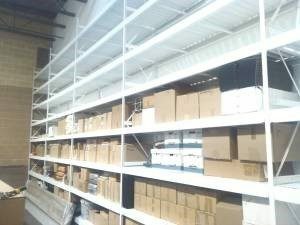 Bulk rack (shown above) is a great cost saver compared to Pallet Rack, If your not using a fork lift to load the levels consider Bulk Rack its 40% less expensive. 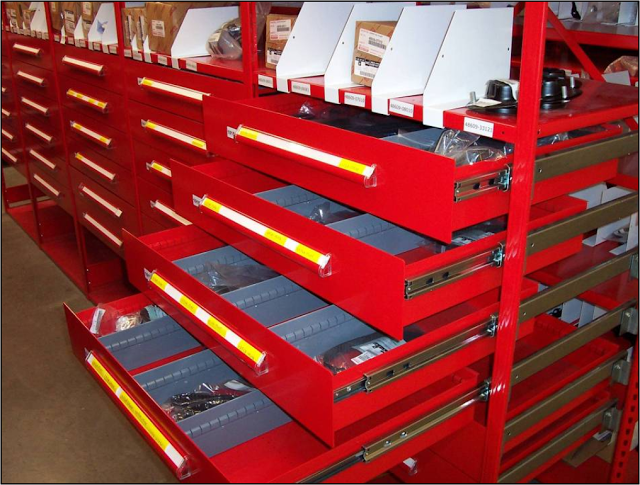 LockersUSA also stocks Pallet Racking in NYC in New. Our inventory also includes wire decks and solid decks. Contact us now for immediate assistance. Sales@LockersUSA.com or give us a call. P(917) 701-5795. Our distribution centers are open 7:00 AM to 5PM Monday – Friday and Saturday 7AM – 1PM. Metal Shelving NYC, Steel Shelving NYC, Industrial Shelving NYC, Equipto Shelving NYC, Bulk Rack NYC, Art Storage Rack NYC, File Records Shelving NYC, bright white shelving NYC, Reflective white shelving NYC, Modular cabinets NYC, Automotive Shelving NYC, Metal Shelving delivered daily to NYC, Bronx, Staten Island, Brooklyn, Queens, Yonkers, Westchester and New Jersey.